Over in England, the first weekend of May is bank holiday weekend. Three utterly blissful days of holidays, and a four working day week after. What's not to love about that? This year, my bank holiday weekend has been jam-packed with festivals, starting off with the Streets of Spain Campo Viejo Festival at Southbank and then the London Coffee Festival in Shoreditch. 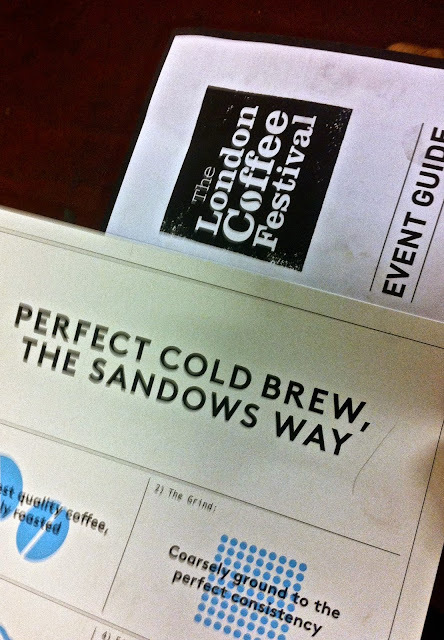 The annual London Coffee Festival over in Shoreditch was one of the two major festivals I visited. I heard a mixture of feelings from friends who went to it last year, so I wasn't too sure what to make of it beforehand. I mean, how wrong can you possibly go with a festival all about coffee? There were the hoards of well-groomed bearded barista boys, in their t-shirts with rolled up sleeves, making flat whites, espressos or long blacks as quickly as you can say "coffee", coffee grinders repeatedly grinding whole coffee beans to a coarse setting and coffee drinkers quickly drinking espressos like shots. The whole place was abuzz, and where to go? There was so much happening at the festival, there was no room for being bored. For one, there was an unlimited supply of coffee; my caffeine fix was sorted. I'm slowly becoming more interested in coffee as much as I love tea, and what I loved about the festival was that it was educational as well as about eating and drinking. There were some really fascinating concepts and brands that were showcasing their products. One brand that really caught my eye was The Little Bag Company. They sell ground coffee in tea bags. It's one of the most practical coffee-related products out there I've seen, especially when you're at work, you don't want to take your V60 with you but you still want to drink non-instant coffee. It's the same concept as tea-bag tea, so you just put the coffee bag in hot water and brew, then throw out the coffee bag. You can buy these at Harvey Nichols and Selfridges. As great a concept this is, I would love to know how good the coffee is though. 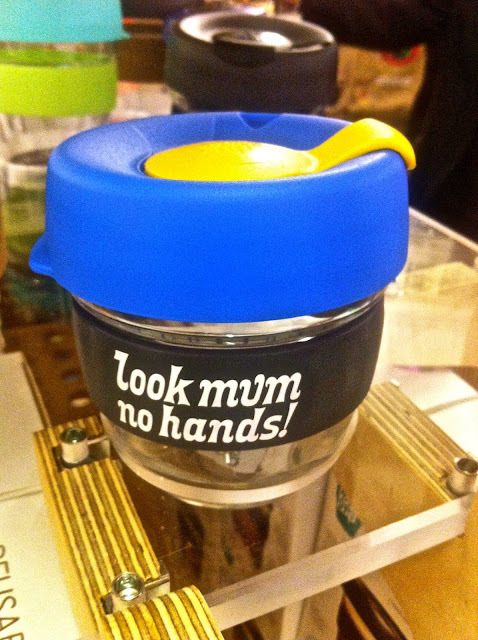 KeepCup is an established brand that sell thermos style cups. They come in a variety of colours and you can choose the colours of each layer of the cup, from the lid to the band round the cup. They are also break-proof. The KeepCup team dropped one of their glass cups just to prove it is made of strong stuff! I've recently been thinking about the next piece of coffee equipment I need to buy, so I went in to the festival hoping the artisan coffee brands and roasteries would be able to help me out. As you know, I already have a cafetiere, Aeropress and V60. I've been considering buying a coffee machine, grinder or chemex as the next equipment to own for so long now. They all have their unique selling points, like the chemex is suitable for when you have a dinner party or a lots of guests over. I came away from the festival deciding that it's a coffee grinder that I really need to buy. Ground coffee is all well and good, but what I learnt is that it doesn't keep as fresh as if it were as a whole bean. I must admit that I was a little overwhelmed with the amount of choice for grinders available, so I'm going to research this before I take a big leap and buy the grinder. I was quite disappointed to see Starbucks at the Festival. I don't rate Starbucks' coffee at all. I'm not a coffee connoisseur (yet) but I like to think I do know what a good cup of coffee is, and Starbucks is one very trenta no-no. 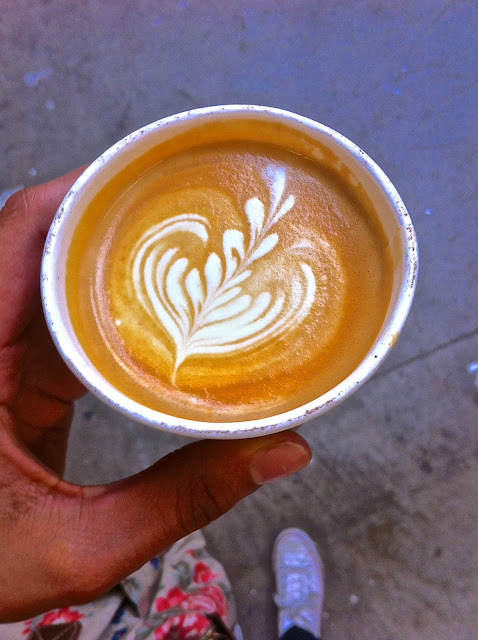 It did frustrate me seeing Starbucks at the Truman Brewery, and I feel that 'artisan' independent coffee shops or roasteries should have been there instead. But anyway, I took advantage of the workshops that were on. I really wanted to attend the talk by Symmetry Breakfast, but I was so engrossed in an espresso and discussing coffee beans I didn't notice the time! But, the one Lab talk I did want to visit, was on how to make cold-brew coffee at home by Sandows. I love cold-brew coffee, because it's so refreshing, and it's still quite strong as a hot coffee (I'm forever in need of a wake-up drink in the mornings). For me, I find the coolness takes away the edge in the summer, and it was nice to find out how else to drink cold-brew coffee; cold-brew coffee Gin & Tonic was one idea mentioned. I loved the chocolate corner of the Coffee Festival. 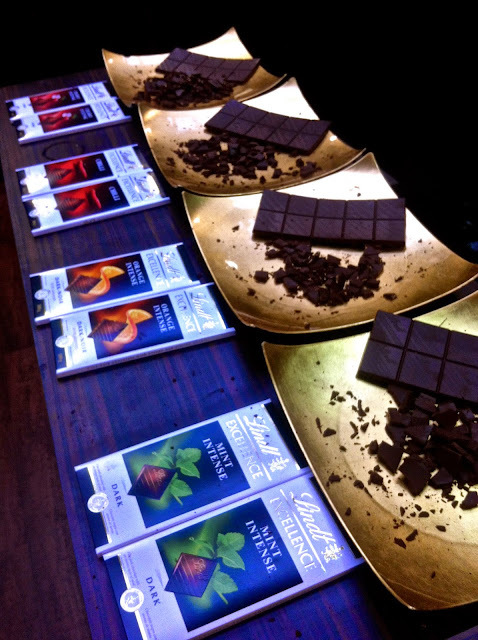 It was great to discover Lindt has a much wider range of dark chocolates than I knew. I loved their dark chocolate with sesame. There were a few brands, specialising in teas, who came along to the Festival as well. It was nice to meet brands I already know, like TeaPigs, and brands I vaguely knew, like Ahmad Teas. Surprisingly enough, I walked out of London Coffee Festival having bought TeaPigs' Liqourice and Peppermint tea. I was given a sample a few months ago, and I can tell you now I've never forgotten about that one cup of tea. It's loaded with so much Wow-Factor, I knew when I saw it at the stall that now was the time to buy it. I honestly thought I was going to walk out with bags of ground coffee, rather than tea! Overall, I enjoyed the London Coffee Festival. I definitely want to come again next year, but will probably make a day out of it, because three hours was not enough to visit all the exhibitors. What are you doing to celebrate Coffee Week this week?